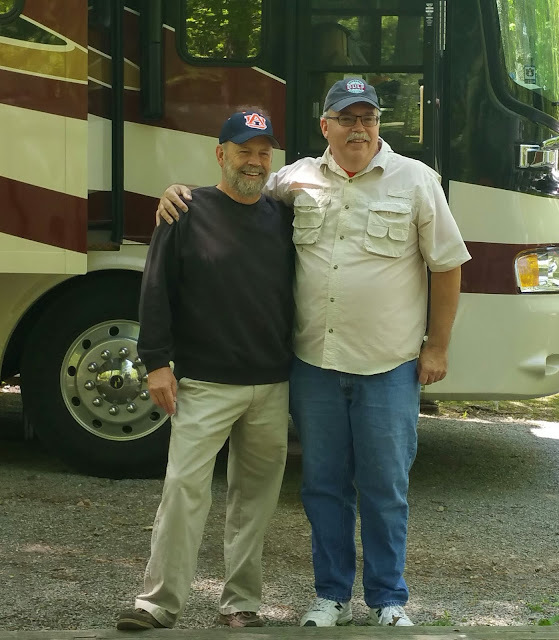 On Sunday, April 19th, less than a week after Macky died, we left Sharon Johnston Campground in New Market, Alabama and headed to middle Tennessee where we will get our annual medical and dental work done, see the children and grandchildren and play a little more golf. One afternoon we played 9 holes at the City of Smyrna (TN) Municipal Course where Wayne had played many times as a young man. Our game is showing slow improvement and we had a nice day of it. We got our medical exams. blood work, mammogram, and bone density test done. Wayne's doctor put him on a low dose of cholesterol lowering medicine. Wish we'd been better at managing it with diet. The dental cleanings and x-rays were unremarkable. Wayne had a filling checked but didn't have to have it replaced. It's probably going to result in a root canal at some time in the future. Oh joy. The first weekend we were at Nashville I-24 Campground, we got to visit with Cam, Amy and their twins, who will turn two years old in a few weeks. I failed to get pictures, but we did manage to get to hold the twins for a few minutes each. They do not hold still for more than just a second or two at this age and do not like being held. The second weekend here, Cam went, with friends, to a comic book show in Chicago. Over the course of the week, Wayne got a head cold. 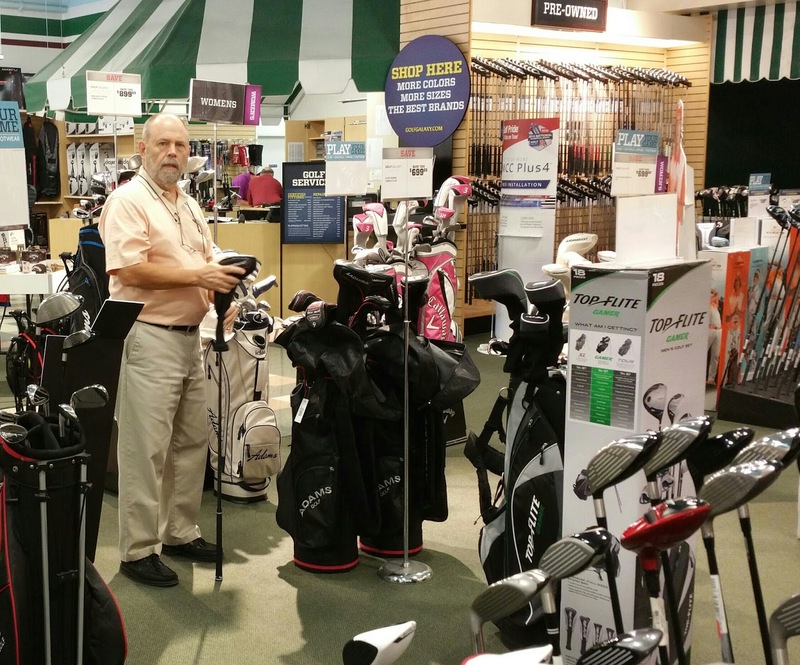 On days after his fever subsided and he felt well enough, we looked around for new golf clubs. We checked into getting a set of gently used ones, but never found anything. He had a couple of fittings and took swings with several brands. At Golf Galaxy in Brentwood. 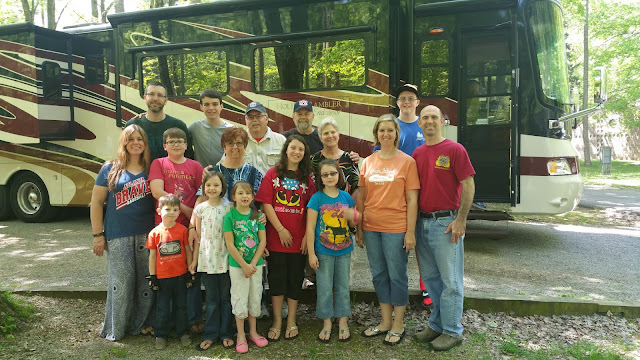 On April 30th, we took the rig to Burns, Tennessee for a weekend visit at Montgomery Bell State Park Campground with Wayne's brother, Gary, his wife, Shelia, their children and grandchildren. We had a wonderful time except for my cold which had begun by then too. Little brother, Gary, (9 years younger) on the right. Rear: Joel, Cole, Gary, Wayne, me and Grant. On Saturday, May 2, we returned to the Smyrna campground for three more days before shoving off to Crossville, Tennessee. 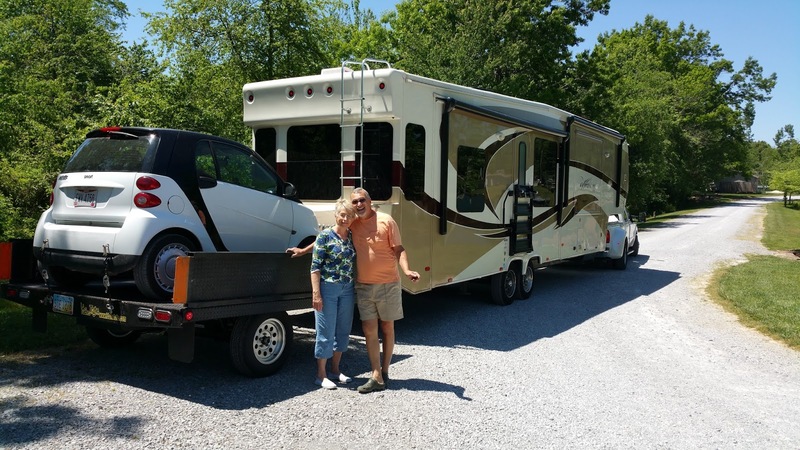 The spring and fall weather on the Cumberland Plateau is to our liking and we like to stop for a week long rest at Spring Lake RV Resort when we come through this area. This year, we were thrilled to learn that Linda and Dale were close enough to swing by for a few days on their way home to Ohio for summer. Both our sites were along the lake in the back of the property. 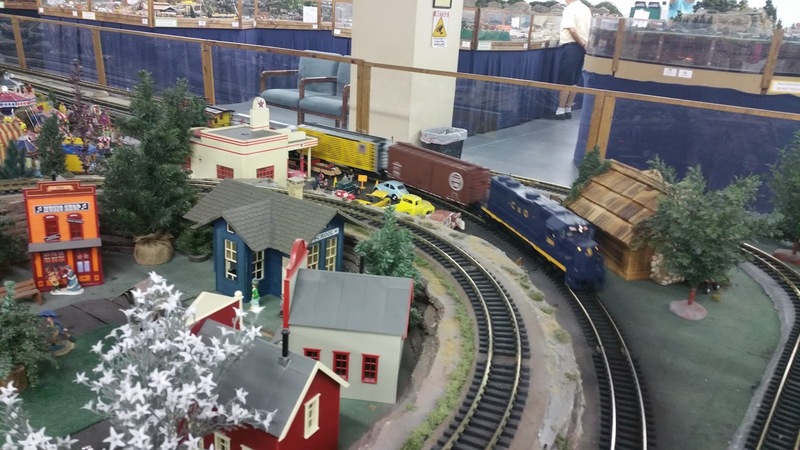 We all visited the miniature railroad display. Linda and Dale stayed for a total of four days. I was still suffering with my head cold but we had some good visiting time anyway, including a steak cook-out, a visit to the miniature railroad display and a barbecue dinner at Lefty's, a very good local eatery. 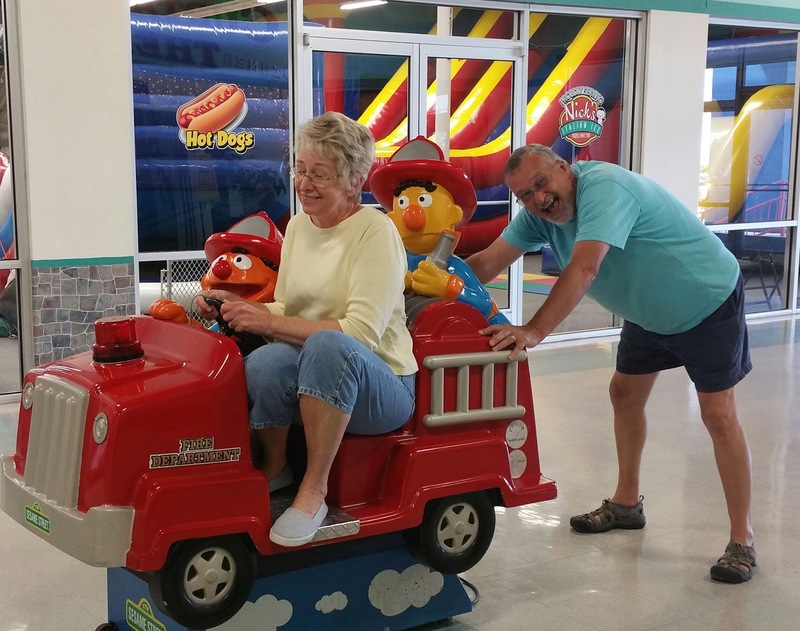 Linda and Dale playing around at the railroad museum mall. A bonus to having Dale and Linda near is that I always get a haircut and Dale fixes whatever we break. Getting my much needed haircut this time was especially appreciated since I felt so bad. Dale found and fixed the problem with our pull-out kitchen counter extension that had been fouled somehow by the guys who installed the new carpet at Wade RV. Wayne and I are simply not handy repair people and we can never express our appreciation enough to Linda and Dale for all they do to help us. 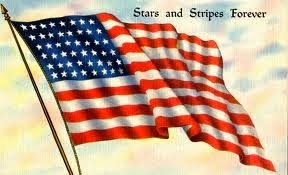 Farewell until we meet again friends. 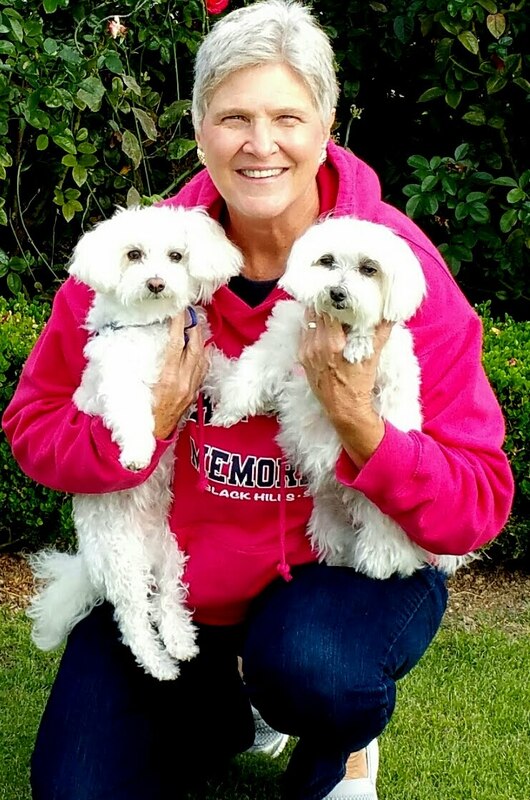 Dale and Linda had another day and a half travel to get to Ohio where they will spend the summer with friends and family and Dale will begin some heavy duty modification projects to the rig. Dales rig draws a lot of curious inquiries everywhere they go. Someone came running out to snap a picture when they pulled into the campground.